At TridentUK we repair all makes of surface water drysuits, this includes drysuits used for sports and commercial purposes. Seal replacements - Latex and Neoprene. Replacement drysuit zips, in brass or nylon. In some cases we can offer a reproofing service. 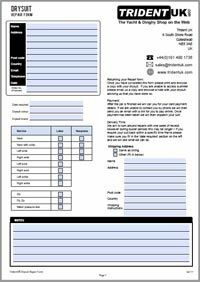 Simply download, print and fill in our repair form Click Here, then package it with your drysuit. Details of the work you would like done and/or the problem with you suits. Then post it to the following address. 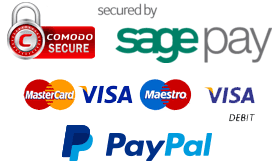 We pride ourselves on our reputation of providing a 'Thorough, Fast and Precise' service, where we encourage our customers to ask questions and seek advice, as you are the one wearing the drysuit! We offer repairs for all drysuits brands, including Trident, Crewsaver, Gill, Gul, Henri Lloyd, Musto and Typhoon, as well as any other surface sport drysuit. 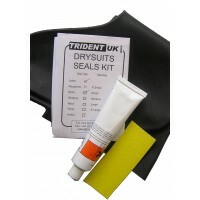 And if you have a Trident Drysuit you will receive a preferential price. * + £15.00 if suit has neck seal cover.